GoPro are finally releasing their first all in one 360 camera, the GoPro Fusion. 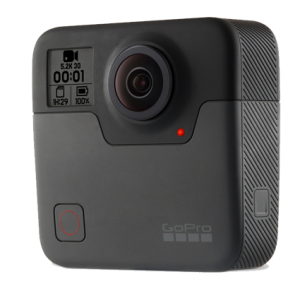 360 enthusiasts have been eagerly anticipating a device from GoPro, who still retain their title as the kings of action cameras. The Fusion looks set to be one of the best 360 cameras of 2017, with an impressive array of features and plenty of software to make shooting in 360 easier than ever. The Fusion isn’t GoPro’s first foray into the 360 camera market. Their Omni camera system allowed for professional filmmakers to combine the power of 6 GoPro Hero’s to create super high quality 360 video. This system produces amazing quality video, but is difficult to use and costs thousands of dollars. The Fusion is designed for more casual film makers and is priced much more reasonably. The Fusions headline features include the ability to shoot at 5.2K, water resistance, advanced image stailization and a video mode called “overcapture” which allows you to manipulate your 360 video in order to create an awesome flat video. The GoPro Fusion can some seriously impressive specs that put it close to the top of all 360 cameras. Only the VIRB 360 and Yi 360 VR can shoot higher resolution video and very few 360 cameras are waterproof without a special case. The Fusion is definitely geared out to be an action camera, with 6 axis stabilization to keep your video looking smooth and an overcapture mode that lets you create unique video. Let’s take a look at some video shot with the GoPro Fusion. This video pretty much exemplifies what the Fusion is meant to be used for – high quality 360 action shots. Watch in 5K to see the camera at its best. When viewed at the highest quality, it’s hard to argue that the Fusion doesn’t produce excellent quality 360 video. While there is still some lack of sharpness compared to a normal flat video, the 5.2K resolution is still a huge step up from 4K. The camera can capture a great level of detail on objects close to it, objects further away are slightly more blurred but it’s not too noticeable. 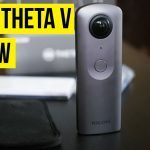 Compared to other 360 cameras, the video coming out of the Fusion is among the best I’ve seen, primarily thanks to the stabilization and high resolution. Watch the video in 4K to see the best quality! Remember the camera cna shoot in 5K but sometimes its easier to work with a slightly lower resolution. Even at 4K the camera produces some impressive results. The stabilization works well as Kevin walks with it attached to a selfie stick. The bright, outdoor environment makes for pretty much perfect conditions for shooting in 360 and the Fusion handles itself very well, capturing a great level of detail. I do notice the stitching line a bit too often, so hopefully this can be improved with a firmware update. This video uses similar footage to the first example video I showed, but instead of being displayed in the 360 format its been manipulated with the overcapture feature and made into a flat 4K video. This effect is achieved by shooting video with your Fusion then manipulating it with GoPro’s new software that will allow you to create overcapture footage. I think this is an awesome way to use 360 video and I suspect many other cameras will follow in the Fusions footsteps. The big question is how easy will this type of video be to create in post production. GoPro says you’ll be able to make overcapture videos on your PC or by using the official app, so here’s hoping it’s not too complicated. GoPro claims that the Fusion will feature the best stabilization of any camera they’ve produced, they also claim that the stabilization will work just as well as a physical gimbal. That would be quite an accomplishment if it turns out to be true. Stabilization is very important when shooting 360 video as without it, the resulting footage is uncomfortable to watch. How important is the video resolution? When it comes to 360 video the higher the better, but it’s not only metric to judge video quality. Just as important are the optics, or the quality of the lenses. Poor quality lenses will result in bad video regardless of resolution. We don’t know exactly what lenses the GoPro Fusion is using, but we know that GoPro tend to not use cheaper lenses in its products, as it wants to maintain a reputation of high quality. A lot of 360 cameras use the same optics as a cheap webcam, which is why the video can look very bad. A few weeks ago the official manual of the GoPro Fusion was leaked online. It’s been deleted now, but for a short time we could take a peak into the specifics of the camera and one page revealed something that’s not been mentioned by GoPro. The table below seems to indicate that the max resolution of the GoPro Fusion is actually 5.6K, not 5.2K. 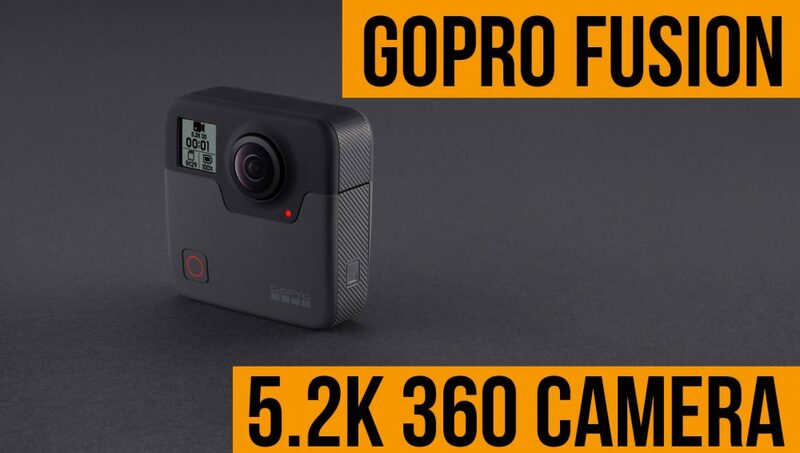 This would seem to indicate that GoPro intends to upgrade the video resolution with a software update in the future, or that they tried to get 5.6K to work but couldn’t manage it. 5.6K wouldn’t make a huge difference compared to 5.2, but every little helps. Let’s not forget that the Fusion can also take still 360 photos at 18 megapixels. This isn’t a bad resolution to shoot at, but it’s far from the highest. A higher resolution would be preferable, but again the optics also matter. There are no example still photos shot with the GoPro Fusion released yet, so it’s hard to say that they will look like. As soon as they are available I will post them. What I will say is that the Fusion is clearly designed with video in mind, with photos a secondary priority. One stand out feature in terms of photography is that the GoPro will be able to shoot in RAW format, allowing for much more detailed editing without loss of quality. There are also manual controls for ISO, shutter speed, exposure and a time-lapse mode. The GoPro Fusion is waterproof up to 16ft without a case. It’s pretty impressive for any camera to be completely waterproof without a case at any depth, so 16ft is quite impressive. You should be able to take your Fusion swimming without worrying too much. One of its competitors, the Garmin VIRB 360, is also waterproof, but to an even greater depth of 10m. Still, this is one of very few 360 cameras that is truly waterproof. You can use your voice to control the Fusion, so that you don’t have to mess with any controls while the action is happening. You can start and stop recording and even mark interesting points in your video by saying “highlight”. Voice commends make it easy for you to control your camera after you’ve set it up in the perfect position. A neat feature not found in any 360 cameras which lets you use your camera even if its being charged. This allows you to record for long periods of time and keep your camera full of juice even when you still want to record. This is a strange feature and is unique to the Fusion. No other 360 camera requires two separate micro SD cards (one for each lens) and as a result the GoPro probably wont be able to stitch its own footage, meaning you’ll need to transfer the files to a phone app or desktop software for the final stage. The two SD card system could indicate that the Fusion shoots at a high bit rate, too high for one SD card to handle. A high bit rate is a good sign of excellent video quality, but it’s just speculation at this point. Here is the GoPro CEO talking about and introducing the GoPro Fusion. Very impressive video, but likely edited heavily. The GoPro is certainly an exciting product and GoPro has a reputation for marrying great hardware with easy to use, excellent software. Many 360 cameras are not too user friendly, so hopefully GoPro can make strides in this area. The GoPro Fusion will be released on the 30th of November and will cost $699 (£699 in the UK). This represents one of the more expensive 360 cameras but not the most expensive, that title is reserved for the $749 Garin VIRB 360. Is the GoPro worth the premium price? I can’t be sure right now as I haven’t tried it, but without doubt it has some of the best features of any 360 camera I’ve seen and I trust that GoPro will release a refined and user friendly product as they always do. The Price of the camera in the UK is technically much more expensive due to exchange rates, so you’ll have to decide if that’s something you can put up with if you’re buying in the UK.